In the legislative act of February 12, 1796, New York State was divided into seven districts, each with an Assistant Attorney General, except New York County where Attorney General Josiah Ogden Hoffman prosecuted personally until 1801. From 1801 to 1813, New York County was part of the First District, which included the counties of New York, Kings, Queens, Richmond, and Suffolk. At that time, Queens included current-day Nassau County and Westchester included the Bronx. In 1813, Westchester County was apportioned to a new district with Rockland and Putnam counties, and in 1815, New York County became the Twelfth District—the only one at the time that was a single county. In 1818, each county in the state became its own district. From 1874 to 1895, the New York County included the West Bronx, and from 1895 to 1913 it included all of what is now Bronx County, governing the same area as does the present Borough of the Bronx. On January 1, 1914, the Bronx became a separate county with its own district attorney. Until 1822, the district attorney was appointed by the Council of Appointment, and held the office "during the Council's pleasure", meaning that there was no defined term of office. Under the provisions of the New York State Constitution of 1821, the D.A. was appointed to a three-year term by the County Court, and under the provisions of the Constitution of 1846, the office became elective by popular ballot. The term was three years, beginning on January 1 and ending on December 31. In case of a vacancy, an acting district attorney was appointed by the Court of General Sessions until the Governor of New York filled the vacancy with an interim appointment until an election was held for the remainder of the term. The Consolidation Charter of 1896 extended the term of the incumbent John R. Fellows, who had been elected in 1893 to a three-year term (1894–1896) by a year. Since the City election of 1897, the D.A. 's term has coincided with the Mayor's term and has been four years long. In case of a vacancy, the governor can still make an interim appointment until a special election is held for the remainder of the term. The DA also operates out of the Louis J. Lefkowitz State Office Building on 80 Centre Street (141 Worth Street). The long-running television series Law & Order and its spin-offs depict the prosecution of criminal suspects by lawyers of the New York County District Attorney's office. The fictional district attorneys depicted in the franchise are Adam Schiff, Nora Lewin, Arthur Branch and Jack McCoy. 1 Richard Riker August 19, 1801 – February 13, 1810 Dem.-Rep.
3 Richard Riker February 19, 1811 – March 5, 1813 Dem.-Rep.
5 John Rodman March 31, 1815 – January 28, 1817 Dem.-Rep.
6 Hugh Maxwell January 28, 1817 – June 11, 1818 Dem.-Rep.
7 Pierre C. Van Wyck June 11, 1818 – February 13, 1821 Dem.-Rep.
8 Hugh Maxwell February 13, 1821 – May 1829 Dem.-Rep.
10 Thomas Phoenix May 22, 1835 – June 4, 1838 ? 12 Matthew C. Paterson June 10, 1844 – January 26, 1846 ? 27 William T. Jerome January 2, 1902 – December 31, 1909 Fusion/Ind. - Alfred J. Scotti August 10, 1973 – February 13, 1974 (acting) ? ^ a b Chester, Alden; Weeks, Lyman Horace; Dougherty, John Hampden (1911). Legal and Judicial History of New York. National Americana Society. ^ Geoffrey Hermalyn and Lloyd Ultan, "Bronx" in The Encyclopedia of New York City (1st edition), edited by Kenneth T. Jackson, New York Historical Society and Yale University Press, New Haven, Connecticut, 1995, ISBN 0-300-05536-6, page 140. ^ except from 1901 to 1905, when the D.A. 's term was four years and two mayors each served a two-year term. ^ a b c d Werner, Edgar A. (1891). Civil List and Constitutional History of the Colony and State of New York. Albany, N.Y.: Weed, Parsons, and Company. pp. 553–563. Retrieved 22 October 2016. ^ a b Werner (1891), p. 554. Retrieved 22 October 2016. ^ a b c d e f g h i j k l m n o p q r s t u v w x y z Werner (1891), p. 558. Retrieved 22 October 2016. ^ a b c "John M'Keon's Work Done — Sudden Close of a Long and Active Life — Dying Yesterday After a Successful Career As a Lawyer, Legislator, and Criminal Prosecutor". New York Times. November 23, 1883. p. 8. Retrieved 15 December 2016. ^ a b "Death of N.B. Blunt, Esq". New York Times. July 18, 1854. p. 4. Retrieved 15 December 2016. ^ "New-York State Election — Additional Returns State Ticket — City Vote". The New York Times. November 10, 1853. p. 8. Retrieved 28 November 2016. ^ "Sudden Death of Lorenzo B. Shepard". New York Times. September 20, 1856. p. 4. Retrieved 15 December 2016. ^ "New-York City — City Politics — Soft-Shell Judiciary Convention". New York Times. October 12, 1854. p. 8. Retrieved 15 December 2016. ^ "A. Oakey Hall is Dead — The Lawyer, Writer, Politician, and ex-Mayor a Victim of Heart Disease — The Man's Remarkable Life — Poverty-Stricken in Youth, He Worked His Way Through College and Climbed Steadily to the Top — Some of His Peculiarities". New York Times. October 8, 1898. p. 1. Retrieved 15 December 2016. ^ "Official Canvass". New York Times. December 5, 1854. p. 6. Retrieved 15 December 2016. ^ a b "Votes for City Officers at the November Election — Official". New York Times. November 21, 1857. p. 8. Retrieved 15 December 2016. ^ "Peter B. Sweeny Dead at 86 — One of "Big Four" of Tweed Ring Spent His Last Years In New York". New York Times. September 1, 1911. p. 7. Retrieved 15 December 2016. ^ "Court of General Sessions". New York Times. January 4, 1858. p. 5. Retrieved 15 December 2016. ^ "Resignation of P.B. Sweeney". New York Times. October 4, 1858. p. 4. Retrieved 15 December 2016. ^ "Death of Geo. W. Blunt — His Career as a Public Officer — Brief Sketch of His Life — Over Thirty-Two Years in the Public Service — The Positions Which He Held — The Blunt Family As Writers on Nautical Subjects". New York Times. April 20, 1878. Retrieved 15 December 2016. ^ "News of the Day". New York Times. October 6, 1858. p. 4. Retrieved 15 December 2016. ^ "Ex-Judge Nelson J. Waterbury Dead — Succumbs to Pneumonia After Three Days, Illness — His Long Career". New York Times. April 23, 1894. p. 1. Retrieved 15 December 2016. ^ "Law Reports — Court of General Sessions for January". New York Times. January 3, 1859. p. 3. Retrieved 15 December 2016. ^ a b "Vote for Canal Commissioner — Votes for Assemblymen and Senators". New York Times. November 7, 1861. Retrieved 15 December 2016. ^ "The State Elections — New-York — The Legislature — Members of Assembly Elected — The Election in the City". The New York Times. November 7, 1861. Retrieved 29 November 2016. ^ "Glorious Result Yesterday — Election of Lincoln and Johnson — Terrible Defeat of McClellan — The Union Triumphant — New-England a Solid Phalanx — New-York for Lincoln and Fenton — Defeat of Governor Seymour and His Friends — Gain of Five Union Congressmen in the State — Election of Raymond, Dodge, Darling, Conklin and Humphrey — Pennsylvania Union on the Home Vote — Heavy Union Gains — Maryland and Delaware All Right — Heavy Union Gains in New-Jersey — The Great Northwest Solid for Lincoln — Details of the Returns — The Vote of the City — President and Governor — Canal Commissioner — State Prison Inspector — Fourth Congressional District — Fifth Congressional District — Sixth Congressional District — Seventh Congressional District — Eighth Congressional District — Ninth Congressional District — The Total Vote and the Registry". New York Times. November 9, 1864. p. 1. Retrieved 15 December 2016. ^ "Local Intelligence — The Recent Elections in the City — Corrected Vote by Wards". New York Times. November 10, 1867. p. 8. Retrieved 15 December 2016. ^ "The Charter Election — The Tammany Nominees Elected by Large Majorities — A. Oakey Hall Mayor Elect — Richard O'Gorman Corporation Counsel — Tabular Statement of Voting — Arrests of Illegal Voters". New York Times. December 2, 1898. p. 1. Retrieved 15 December 2016. ^ "Municipal Affairs — Organization of the Common Council — The Mayor's Message — The City Budget for 1869 — Comparison of Taxation in 1868 and 1869". New York Times. January 5, 1869. p. 2. Retrieved 15 December 2016. ^ "Obituary — Samuel B. Garvin". New York Times. June 29, 1878. p. 5. Retrieved 15 December 2016. ^ "Law Reports — The Law Courts for January". New York Times. January 4, 1869. p. 2. Retrieved 15 December 2016. ^ a b "A Bright Career Ended — Death of District Attorney Benjamin K. Phelps — Brief Sketch of His Life and Legal Work — A Leading Lawyer and a Successful Prosecutor — His Last Illness". New York Times. December 31, 1880. p. 5. Retrieved 15 December 2016. ^ "New-York — Official Vote for President and Governor". New York Times. November 22, 1872. Retrieved 15 December 2016. ^ "The New Year — How the Social Holiday will be Celebrated — Prospect of a Fine Day — New-Year's Calls — The Customs of the Day — Official Receptions — Work of the Old Year — Decapitations and Appointments in Municipal Departments". New York Times. January 1, 1873. p. 5. Retrieved 15 December 2016. ^ "The People's Victory — The Vote in the City — A Democratic Majority of 28,156 For Secretary of State, Against 42,528 For Tilden Last Year — The Vote For District Attorney and Recorder". New York Times. November 4, 1875. p. 1. Retrieved 15 December 2016. ^ "One-Man Power Crushed — An Overwhelming Victory For the People — Edward Cooper Elected Mayor by a Majority of Nearly 20,000 — John Kelly Defeated at Every Point — The People Rise in Their Might Against Tammany Hall — Good Municipal Government Assured". New York Times. November 6, 1878. p. 1. Retrieved 15 December 2016. ^ "Daniel G. Rollins Dead — The Former Surrogate Passes Away at His Summer Home in Somersworth, N.H. — His Career As a Lawyer — Served as Assistant United States District Attorney and County District Attorney in This City, and Had a Wide Acquaintance at the Bar". New York Times. August 31, 1897. p. 1. Retrieved 15 December 2016. ^ "Mr. Phelps's Successor — His Assistant, Mr. Rollins, Appointed Temporarily". New York Times. January 4, 1881. p. 9. Retrieved 15 December 2016. ^ "Mr. Phelps's Successor — Daniel G. Rollins Appointed District Attorney by the Governor". New York Times. January 11, 1881. p. 5. Retrieved 15 December 2016. 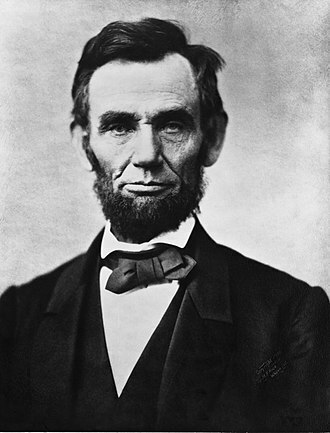 ^ a b "A Republican Majority — The State Ticket Elected On a Close Vote". New York Times. November 9, 1891. p. 1. Retrieved 15 December 2016. ^ "The New District Attorney — Mr. M'Keon Assumes Office and Visits the Toms". New York Times. January 3, 1882. p. 8. Retrieved 15 December 2016. ^ "Mr. M'Keon's Successor". New York Times. November 23, 1883. p. 8. Retrieved 15 December 2016. ^ Patterson, Edward (1906). Memorial of Wheeler Hazard Peckham. New York, N.Y.: Association of the Bar of the City of New York. Retrieved 15 December 2016. ^ a b "Wheeler H. Peckham Resigns — Ill Health Causes Him to Give Place to Peter B. Olney as District Attorney". New York Times. December 11, 1883. p. 1. Retrieved 15 December 2016. ^ "Peter Butler Olney Dies of Pneumonia — Ex-District Attorney Succumbs Suddenly at His Cedarhurst Home at 78 Years — Sued "Boss" Tweed Ring — Brother of Late Secretary of State Helped Revise the Laws Affecting New York City". New York Times. February 10, 1922. p. 15. Retrieved 15 December 2016. ^ "Death of Judge Martine — Heart Failure, Due to Peritonitis, the Cause — His Recovery Was Hoped For — Preparations Had Been Made to Take Him to Old Point Comfort — Action of General Sessions Judges". New York Times. March 31, 1895. p. 1. Retrieved 15 December 2016. ^ "Official Vote of the County — Most of the Cleveland Electors Have a Plurality of 43,130". New York Times. November 20, 1884. p. 8. Retrieved 15 December 2016. ^ "Mr. Martine Begins Work". New York Times. January 2, 1885. p. 8. Retrieved 15 December 2016. ^ "Shall The People Be Beaten?". New York Times. October 23, 1887. p. 4. Retrieved 15 December 2016. ^ a b "Col. Fellows in Office — A Day of Congratulations and Hospitality". New York Times. January 3, 1888. p. 8. Retrieved 15 December 2016. ^ a b "Col. John R. Fellows — Dead The District Attorney Passed Away Yesterday — His Older Son Reached Home Too Late to See His Father in Life — Sketch of Col. Fellows's Career". The New York Times. December 8, 1896. p. 8. Retrieved 30 November 2016. ^ "Result of the City Vote — It Proves to Be a Sweeping Democratic Victory — The Labor Vote Broken Up in an Unexpected Way — Candidates Who Are Elected to Office". New York Times. November 9, 1887. p. 1. Retrieved 15 December 2016. ^ a b "Result of the City Vote — The Tammany Ticket Elected in Its Entirety — Pluralities Given for the Candidates Ranging From About Ten Thousand to Nearly Twenty-Five Thousand". New York Times. November 5, 1890. p. 1. Retrieved 15 December 2016. ^ "De Lancey Nicoll, Noted Lawyer, Dies — Former District Attorney Is Stricken Suddenly in His 77th Year — "Boodle Aldermen's" Foe — Convicted Several for Accepting Franchise Bribes — Delegate to Constitutional Conclaves". New York Times. April 1, 1931. p. 24. Retrieved 15 December 2016. ^ "Nicoll Out of the Race — The District Attorney Will Not take a Renomination — He Makes This Announcement After a Talk with Mr. Croker — Says He Was Urged to Run Again, but He Decided to Give up Politics — Gossip About the Tammany Nominations That Will Be Made at the Convention To-night — Republican Hopes". New York Times. October 7, 1893. p. 5. Retrieved 15 December 2016. ^ "Tammany Sweeps the City — Very Little Interest Over the Local Ticket — As the Day Was Fine, However, the Respectable Element Went to the Polls in Larger Numbers Than Usual — Many Workmen Did Not Take the Customary "Day Off," Evidently Caring Little How the Election Resulted — Disturbances Were Few and Trifling". New York Times. November 8, 1893. p. 6. Retrieved 15 December 2016. ^ "Ex-Justice Davis Dies of Pneumonia — Eminent Jurist, Who Lately Had Acted as Official Referee, Was 76 Years Old — Noted Episcopal Layman — He Won National Fame as District Attorney — Led in Welfare and Educational Activities". New York Times. April 18, 1931. p. 19. Retrieved 15 December 2016. ^ "Favor Vernon M. Davis — Indorsed by Business Men as Col. Fellows's Successor". The New York Times. December 12, 1896. p. 7. Retrieved 30 November 2016. ^ "W.M.K. Olcott, Ex-Judge, Dead — Served as District Attorney of New York County Many Years Ago — Once City Court Judge — Prominent Member of the Bar — Ardent Republican, He Entered Politics Early in Career". New York Times. May 11, 1933. p. 16. Retrieved 15 December 2016. ^ "Olcott Takes His Office — New District Attorney Sworn In by Justice Pryor — Immediately Reappoints Several Assistant District Attorneys and Announces His Policy for Future Distribution of Patronage". The New York Times. December 20, 1896. p. 9. Retrieved 30 November 2016. ^ "Gen. Asa B. Gardiner Dies in 80th Year — Ex-District Attorney of New York and Military Leader Passes at His Suffern Home — Was Counsel for Grant — Awarded Congressional Medal for Bravery, He Was Asked 45 Years Later to Return It". New York Times. May 29, 1919. p. 11. Retrieved 15 December 2016. ^ "Democrats Take All — The Tammany Ticket Makes Almost a Clean Sweep of the Greater City — Only Two Republicans in the Council — Van Wyck's Plurality Is 80,316 — Seth Low Ran Nearly 40,000 Ahead of His Ticket — The Republicans Lose 21 Assemblymen and Elect Only 11 Candidates to the Board of Aldermen". New York Times. November 4, 1897. p. 1. Retrieved 15 December 2016. ^ a b "Col. Gardiner is Removed — Governor Ousts the District Attorney — Sustains the Charges — Appoints Eugene A. Philbin, a Democrat to the Office — Decision Based Principally Upon the Conduct of the District Attorney at the Time of the Devery Indictment". New York Times. December 23, 1900. p. 1. Retrieved 15 December 2016. ^ "Judge Philbin Dies; His Illess Brief — End Comes at His City Home After Being Stricken with Pneumonia Tuesday — Was Born Here in 1857 — Justice's Life Marked by Public Service, Especially in Protecting Parks". New York Times. March 15, 1920. p. 15. Retrieved 15 December 2016. ^ "G.W. Schurman Dies; Prominent Lawyer — Was Once Associated With Chief Justice Hughes in Legal Practice Here — Leader in Bar Association — Brother of Ex-Envoy to Germany Had Been Active Aide in Jerome Reform Movement". The New York Times. January 10, 1931. p. 15. Retrieved 13 December 2016. ^ "Mr. Schurman Will Act — To Be District Attorney from Midnight Until Justice Jerome Is Sworn In". The New York Times. December 31, 1901. p. 14. Retrieved 21 October 2016. ^ "Mr. Jerome Was Not Sworn In — New York Without an Official District Attorney Yesterday — Justices of the Supreme Court Had All Gone Home When He Was Ready to Take the Oath". The New York Times. January 2, 1902. p. 2. Retrieved 21 October 2016. ^ "Jerome Dies at 74; Long Tammany Foe — District Attorney Whose Raids Roused the City 30 Years Ago Succumbs to Pneumonia — Led Reform Movements — But Was Not 'Reformer' Type — Closed Canfield Resort and Prosecuted Thaw". The New York Times. February 14, 1934. p. 19. Retrieved 13 December 2016. ^ "Victory for the Fusion Ticket — Seth Low Elected Mayor by About 33,000 Plurality — Jerome Defeats Unger — Fusion Borough Presidents Chosen in Three Boroughs — Van Wyck Left Far Behind — Contest Close for Sheriff in This County — Jerome Wins by About 15,000 — Fusion Justices Win — Democrats Carry Only Queens and Bronx". The New York Times. November 6, 1901. p. 1. Retrieved 13 December 2016. ^ "Mr. Jerome Takes The Oath of Office — Justice Leventritt Swears In the District Attorney — Police Cases to Receive Immediate and Close Attention — To Bring Offenders to Justice Within Short Space of Time". The New York Times. January 3, 1902. p. 14. Retrieved 13 December 2016. ^ "Jerome — Elected District Attorney by 3,525 — In Doubt Till Late — Result Greeted with Wild Cheering by the Crowds — Jerome Says the People Did It". The New York Times. November 8, 1905. p. 1. Retrieved 13 December 2016. ^ "Name Whitman for District Attorney — Republicans Select a Full County Ticket in Accordance with Fusion Agreement — Shea Chosen for Sheriff — Two Republicans and an Independent Democrat Nominated for the Supreme Bench". The New York Times. September 30, 1909. p. 1. Retrieved 13 December 2016. ^ "Ex-Gov. Whitman Dies Here at 78 — Executive of State, 1915-18, 'Broke' Rosenthal Case as District Attorney in 1912". The New York Times. March 30, 1947. p. 1. Retrieved 13 December 2016. ^ "Gaynor Wins; Tammany Loses All The Rest — A Clean Sweep by Fusion of All Offices Outside of the Mayoralty — Gaynor's Plurality 72,500 — But Fusion Has Carried the Board of Estimate and with It City Control — Whitman District Attorney — Beats George Gordon Battle for the Office by About 22,000 Votes — All Patronage to Fusion — Controllership, Aldermanic Presidency, County Offices, and Supreme Court — All Gone — Borough Presidents, Too — McAneny Wins in Manhattan, Gresser Carries Queens, Miller the Bronx — And Roesch Is Beaten". The New York Times. November 3, 1909. p. 3. Retrieved 13 December 2016. ^ Manual for the Use of the Legislature of the State of New York — 1914. Albany, N.Y.: J.B. Lyon. 1914. p. 665. Retrieved 13 December 2016. ^ a b "Whitman Goes in As Bells Toll 12 — New Governor Takes Up Reins of Office at Midnight Without Waiting for Ceremonial — Legal Point is Involved — Courts Advise Him to Re-designate Justices Whose Terms Expired with 1914 — Accepts Own Resignation — First Official Act Is Followed by Appointment of Charles Albert Perkins as District Attorney". The New York Times. January 1, 1915. p. 1. Retrieved 13 December 2016. ^ "Charles A. Perkins, Ex-Prosecutor, Dies — Served as District Attorney of New York County When Mitchel Was Mayor — Handled City Trust Cases — Took Part In the Lexow Investigation — Made a Drive Against Notorious Gangsters". The New York Times. January 17, 1930. p. 23. Retrieved 13 December 2016. ^ a b "Swann, District Attorney — His Plurality 33,589, and Smith Elected Sheriff by 49,390 — Bennet Back to Congress — Has Probably Carried His Uptown District by About 723 Over Healey — Cropsey Wins in Brooklyn — Tammany Will Probably Control Board of Aldermen and Elect McAneny's Successor". The New York Times. November 3, 1915. p. 1. Retrieved 14 December 2016. ^ "Edward Swann, 83, Ex-Judge, Is Dead — District Attorney Here, '16-22, Was Often Under Fire — 9 Years in General Sessions". The New York Times. Associated Press. September 21, 1945. p. 21. Retrieved 13 December 2016. ^ "Hylan Chosen Mayor, Plurality 147,000; Woman Suffrage Wins Probably by 80,000; Prohibition Close, Suffrage Loses, in Ohio — A Tammany Sweep — Hylan Can Get Every Vote in the Board of Estimate — Carries Every Borough — His Vote Is 293,382, Mitchel's 148,060, and Hillquit's 138,793 — Lewis, Attorney General — Beaten in This City, but Had a Big Plurality Up-State — Hylan Promises Loyalty". The New York Times. November 7, 1917. p. 1. Retrieved 14 December 2016. ^ "Joab Banton, 79, Once Prosecutor — District Attorney of New York in 1922-29 Dies — Handled Rothstein Murder Case". The New York Times. July 21, 1949. p. 25. Retrieved 13 December 2016. ^ "The City Vote — Hylan's Plurality 417,986 — Craig's 249,252 — Banton's 83,680". The New York Times. November 10, 1921. p. 4. Retrieved 14 December 2016. ^ "Final Returns Add to Tammany Sweep — All but Three of 63 Candidates for Aldermen, and 56 for Assembly Are Elected — Walker Wins by 401,581 — Banton's Plurality 105,421 — Wigwam Captures 10th District — Connolly Issues Statement". The New York Times. November 5, 1925. p. 2. Retrieved 14 December 2016. ^ "City Tickets Named; Republican Leaders Pick Aron and Coler — Selections in LaGuardia Slate, With Banker for Controller, Provide a Surprise — Democrats Redesignated — Walker, Berry and McKee Are Chosen for Present Offices, With All Chiefs Concurring — Hylan Still in the Race — Dry Republicans Urge Bennett, Who Once Beat Mitchel in Primary, to Fight LaGuardia". The New York Times. August 8, 1929. p. 1. Retrieved 14 December 2016. ^ "Thomas C.T. Crain, Ex-Justice, Dies, 82 — Tammany Sachem Who Won District Attorneyship at 69 — A Court Referee at Death — Rothstein Murder One of Cases Investigated by Him — Was of Mayflower Ancestry". The New York Times. May 30, 1942. p. 15. Retrieved 13 December 2016. ^ "Crain is Elected by 96,863 Margin — Tammany Candidate Leading With 202,574 Against 106,095, With 72 Districts Missing". The New York Times. November 6, 1929. p. 5. Retrieved 14 December 2016. ^ "District Attorneys Elect and Some of the Victorious Judicial Candidates". The New York Times. November 6, 1929. p. 3. Retrieved 14 December 2016. ^ "Crain Will Retire at the End of His Term – Prosecutor, 74, Tells Friends He Will Not Run Again — Plans to Practice Law". New York Times. May 2, 1933. p. 38. Retrieved 10 February 2018. ^ "Officials Elected". The New York Times. November 8, 1933. p. 1. Retrieved 14 December 2016. ^ "Strong Backing for Hastings". New York Times. July 6, 1937. p. 10. Retrieved 10 February 2018. ^ "Dodge Reveals His Plans – Retiring District Attorney Will Return to Private Practice". New York Times. November 4, 1937. p. 8. Retrieved 10 February 2018. ^ "Thomas E. Dewey Is Dead at 68". The New York Times. March 17, 1971. p. 1. Retrieved 20 August 2016. ^ "Route of Tammany Viewed as Knell of 100-Year-Old Machine's Waning Power – Dewey is Winner By 108,823 Margin – Tammany Hall Swept Out of District Attorney's Office After 20-Year Rule –– Victor to Oust Staff – Pledges Reorganization That Will 'Restore Justice' to Courts of County". New York Times. November 3, 1937. p. 13. Retrieved 11 February 2018. ^ Moscow, Warren (July 30, 1941). "Dewey Won't Run – Asks Nomination of One of 4 Aides – Decision Irrevocable, He Says — Backs Lockwood, Gurfein, Hogan or Thayer". New York Times. p. 1. Retrieved 11 February 2018. ^ a b "Hogan, District Attorney 32 Years, Dies". New York Times. April 3, 1974. p. 1. Retrieved 29 November 2013. Frank S. Hogan, the shy, courteous lawyer who became a legend in 32 years as Manhattan's District Attorney, died yesterday at St. Luke's Hospital. Mr. Hogan was 72 years old and lived at 404 Riverside Drive. ^ "District Attorney Hogan". New York Times. November 4, 1941. p. 22. Retrieved 10 February 2018. ^ Hagerty, James A. (November 5, 1941). "La Guardia Wins A Third Term by 133841; His Ticket Elected, Gets Estimate Board; County Reform Adopted; Harvey Loses – O'Dwyer Vote High – Mayor Retains Office by Thin Margin in Closest Contest Since 1905 – M'Goldrick is Victor – Fusion to Have 12 of 16 Board Votes – Morris Again Heads Council". New York Times. p. 1, 14. Retrieved 10 February 2018. ^ Breasted, Mary (September 18, 1973). "Hogan Has Had a Stroke And Lung‐Tumor Surgery". New York Times. p. 1. Retrieved 11 February 2018. ^ a b Goldstein, Tom (February 6, 1974). "Kuh Appointed Manhattan Prosecutor; Scotti, Chagrined, Planning to Retire". New York Times. p. 41. Retrieved 11 February 2018. ^ a b "Kuh Is Sworn In; Plans Neighborhood D.A. Offices". New York Times. February 14, 1974. p. 45. Retrieved 11 February 2018. ^ Saxon, Wolfgang; Vitello, Paul (November 19, 2011). "Richard H. Kuh, Ex-Manhattan Prosecutor, Dies at 90". The New York Times. p. D8. Retrieved 13 December 2016. ^ Kihss, Peter (September 12, 1974). "Morgenthau‐Kuh Contest To Be Repeated on Nov. 5". New York Times. p. 12. Retrieved 11 February 2018. ^ a b Evans Asbury, Edith (November 6, 1974). "Morgenthau Trounces Kuh in D.A. Race". New York Times. p. 1. Retrieved 11 February 2018. ^ "Statement and Return Report for Certification General Election 2013 - 11/05/2013 New York County - All Parties and Independent Bodies District Attorney New York" (PDF). vote.nyc.ny.us. Board of Elections in the City of New York. Retrieved 8 February 2018. ^ "Statement and Return Report for Certification General Election – 11/07/2017 New York County – All Parties and Independent Bodies – District Attorney – New York" (PDF). vote.nyc.ny.us/. Board of Elections in the City of New York. Retrieved 8 February 2018. The Attorney General of New York is the chief legal officer of the State of New York and head of the New York state governments Department of Law. The office has been in existence in some form since 1626, the current Attorney General is Eric Schneiderman. He was elected on November 2,2010 and took office on January 1,2011, the Attorney General advises the executive branch of state government and defends actions and proceedings on behalf of the state. The Attorney General acts independently of the Governor of New York, the departments regulations are compiled in title 13 of the New York Codes and Regulations. The legal functions of the Department of Law are divided primarily into five divisions and Opinions, State Counsel, Criminal Justice, Economic Justice. In 1693, the Attorney General earned a salary of 50 pounds, from 1777 to 1822, the Attorney General was appointed by the Council of Appointment. From 1823 to 1846, the Attorney General was elected by the New York State Legislature for a three-year term, attorneys General have been elected by the voters since 1847. Ogden Hoffman was an American lawyer and politician who served two terms in the United States House of Representatives. Ogden Hoffman was born on October 13,1794, the son of New York Attorney General Josiah Ogden Hoffman and he pursued classical studies and graduated from Columbia College in 1812. He served for three years in the Navy and was warranted a midshipman in 1814 and he took part in the War of 1812 and the Second Barbary War as a crew member on the USS President, and was taken prisoner when the President was captured in 1814. After leaving the Navy he studied law under his father, was admitted to the bar in 1818, Hoffman was District Attorney of Orange County from May 1823 to January 1826, and a member of the New York State Assembly in 1826. He returned to New York City and there practiced law in partnership with Hugh Maxwell, Hoffman was again a member of the New York State Assembly in 1828, and was New York County District Attorney from 1829 to 1835. 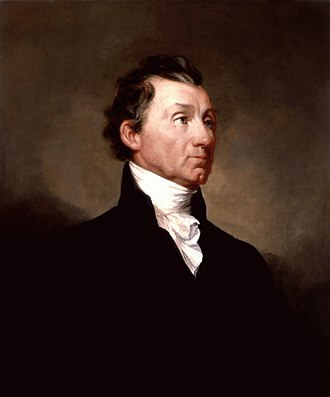 In 1836, Hoffman defended Richard P.
The Governor of the State of New York is the chief executive of the U. S. state of New York. The governor is the head of the branch of New Yorks state government. The current governor is Andrew Cuomo, a Democrat, Cuomo won the November 2010 gubernatorial election and was sworn in as the 56th governor of the state of New York on January 1,2011. 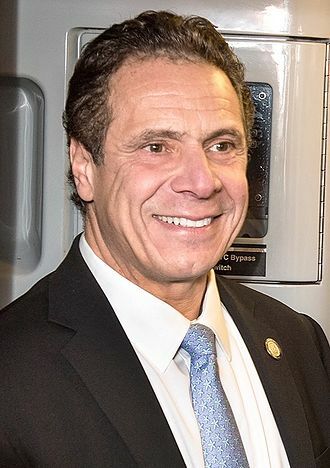 Cuomo was re-elected on November 5,2014, defeating his Republican challenger Robert Astorino, unlike the other government departments that compose the executive branch of government, the governor is themselves head of the state Executive Department. The officeholder is afforded the courtesy style of His/Her Excellency while in office, the governor of New York is often considered a potential candidate for President. 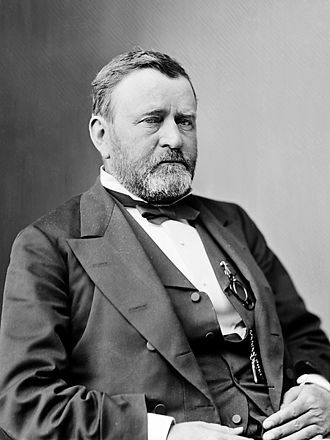 Ten governors have been major-party candidates for president, and four, Martin Van Buren, Grover Cleveland, Theodore Roosevelt, six New York governors have gone on to serve as vice president. Additionally two Governors of New York, John Jay and Charles Evans Hughes, have served as Chief Justice of the United States, the office of Governor was established by the first New York State Constitution in 1777 to coincide with the calendar year. 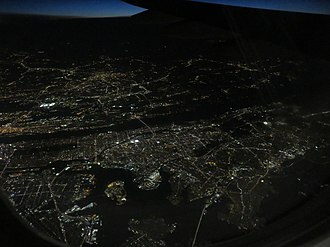 Rockland County is the southernmost county on the west side of the Hudson River in the U. S. state of New York, part of the New York–Newark–Jersey City, NY–NJ–PA Metropolitan Statistical Area. The county seat is New City, the name derives from rocky land, as the area was described by early Dutch and English settlers. Rockland County is the smallest county by area in New York State outside of New York City and it comprises five towns and nineteen incorporated villages, with numerous unincorporated villages and hamlets. Rockland County is designated as a Preserve America Community, and roughly one-third of the county is parkland, the county has the largest Jewish population per capita of any U. S. county, with 31. 4%, or 90,000 residents, being Jewish. Rockland ranks 9th on the list of counties by median household income in the United States with $75,306 according to the 2000 census. In 2015, Suffern was named as the best place to start a business in New York by NerdWallet, NerdWallet included the villages of Haverstraw, West Haverstraw and Spring Valley in their report. On February 14,2017 Edwin J. Day, County Executive of Rockland County proclaim February 14,2017 as Rockland County Local History Day, the area that would become Rockland County was originally inhabited by Algonquian-speaking Aboriginals, including Munsees, or Lenni Lenape. 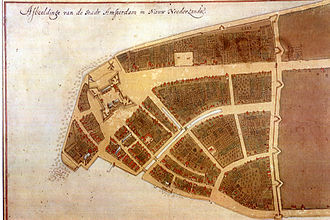 The Dutch were the first Europeans to settle in the area and these settlers, eager to escape city life, moved from Manhattan to Rockland. A number of unique Dutch-style red sandstone houses still stand, when the Duke of York established the first twelve counties of New York in 1683, present-day Rockland County was part of Orange County known as Orange County South of the Mountains. Orangetown was created at the time under a royal grant. Around this time, as the English began to colonize Nyack and Tappan, the natural barrier of the Ramapo Mountains and the size of the county made it difficult to carry out governmental activities. At one point there were twin governments, one on side of the Ramapo Mountains. For this reason, Rockland split off from Orange in 1798 to form its own county and that same year the county seat was transferred from Tappan to New City, where a new courthouse was built. John R. Fellows was an American lawyer and politician from Arkansas and New York. He was the son of Tisdale Eddy Fellows and Superintendent of the Halfmoon Cemetery, the family moved to a farm in Stillwater in Saratoga County, New York, where he attended the country schools. Among his playmates was Elmer E. Ellsworth, in 1850, Fellows went to Camden, Ouachita County, Arkansas, to live with his uncle. There he studied law and was admitted to the bar in 1855, at one time he practiced law in partnership with Walter L. Bragg. He ran for presidential elector on the Constitutional Union ticket of Bell and Everett in 1860 and he was a delegate to the State secession convention in 1861. He enlisted in the 1st Arkansas Infantry of the Confederate States Army, after the Battle of Shiloh, he was made a colonel and assigned to staff duties as assistant adjutant to Gen. William Beall. Later he was inspector general at Port Hudson and was captured there on July 9,1863 and he was kept a prisoner of war until the end of the American Civil War, and released on June 10,1865. Afterwards he resumed the practice of law in Camden and he was a member of the Arkansas Senate from 1866 to 1867. On July 4,1867, he married Lizzie Reynolds, and he was a delegate to the 1868 Democratic National Convention, held at the new Tammany Hall building in New York City, and was noticed by Tammany boss William M. Tweed as an eloquent campaign speaker. Urged by Tweed, Fellows removed to New York City to continue the practice of law there, Tweed secured Fellowss appointment in 1868 by Corporation Counsel Richard OGorman as Assistant C. C. and in 1869, D. A. Samuel B. Garvin appointed Fellows an Assistant New York County District Attorney and he remained in this office until the end of 1872 when Garvins term expired and a Republican D. A. succeeded. After the fall of Tweed, Fellows left Tammany and joined the Anti-Tammany Democrats in New York City, at known as the Young Democracy. Fellows was re-appointed Assistant D. A. in 1882 by D. A. John McKeon, and remained on this post under John Vincent, Wheeler H.
The new party controlled the presidency and Congress, as well as most states, from 1801 to 1825, during the First Party System. 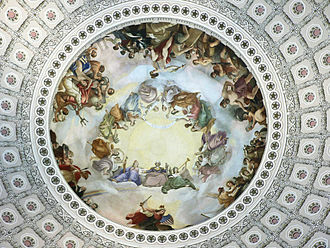 It began in 1791 as one faction in Congress, and included many politicians who had opposed to the new constitution. They called themselves Republicans after their ideology Republicanism and they distrusted the Federalist commitment to republicanism. The party splintered in 1824 into the Jacksonian movement and the short-lived National Republican Party, the term Democratic-Republican is used especially by modern political scientists for the first Republican Party. It is known as the Jeffersonian Republicans, historians typically use the title Republican Party. 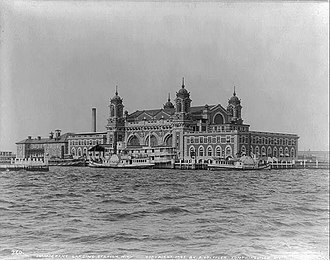 An Anti-Administration faction met secretly in the capital to oppose Hamiltons financial programs. 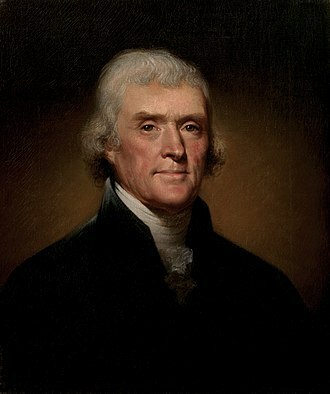 Jefferson denounced the programs as leading to monarchy and subversive of republicanism, Jefferson needed to have a nationwide party to challenge the Federalists, which Hamilton was building up with allies in major cities. 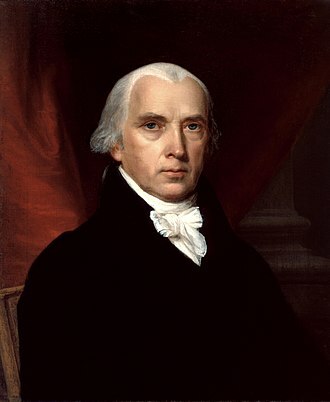 Foreign affairs took a role in 1794–95 as the Republicans vigorously opposed the Jay Treaty with Britain. 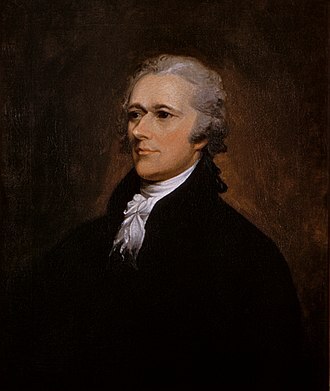 Republicans saw France as more democratic after its revolution, while Britain represented the hated monarchy, the party denounced many of Hamiltons measures as unconstitutional, especially the national bank. The party was strongest in the South and weakest in the Northeast and it demanded states rights as expressed by the Principles of 1798 articulated in the Kentucky and Virginia Resolutions that would allow states to nullify a federal law. 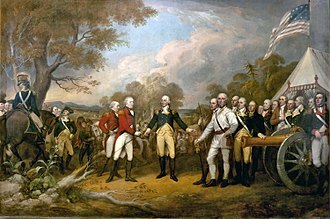 Above all, the party stood for the primacy of the yeoman farmers, Republicans were deeply committed to the principles of republicanism, which they feared were threatened by the supposed monarchical tendencies of the Hamiltonian Federalists. The party came to power in 1801 with the election of Jefferson in the 1800 presidential election, the Federalists—too elitist to appeal to most people—faded away, and totally collapsed after 1815. The Republicans dominated the First Party System, despite internal divisions, the party selected its presidential candidates in a caucus of members of Congress. Henry Hudson's Halve Maen (Half Moon) on the Hudson River. The Carson McCullers House in South Nyack. Taxi drivers concealing their faces as they take the customary perp walk before the news media. The perp walk is a well-known feature of New York's criminal justice system. The Horatio Seymour memorial at the Cathedral of All Saints (Albany, New York).